Cashino is an online casino featuring a wide variety of high-quality games from world-leading software providers. Having operated as a land-based casino with many high-street venues since 1972, their online operation was launched in 2014. Offering all the game titles you’ve come to expect from a well-established casino, players can easily choose from a host of online slots, video poker, blackjack and live casino games. In our Cashino blackjack review, we take a look at Cashino’s game of 21 offerings, their stake levels and return to player (RTP) percentages. Cashino offer over 24 engaging blackjack titles, making the casino an ideal place for blackjack enthusiasts and novices alike. With easy navigation between titles, users can jump swiftly between blackjack variations among other online games. Pontoon is essentially the British and Australian version of blackjack, with similar rules and strategies of play. Many of the differences between blackjack and pontoon are based on the terminology. In pontoon, you twist rather than hit, you stick rather than stay, and you buy instead of double down. At Cashino, Pontoon is brought to you by Playtech and consists of 8 card decks dealt on a table. Here, the dealer’s cards are always dealt face down, with the dealer checking their cards for a blackjack (or pontoon – an ace + 10 value card) before the player makes their move. Unlike some variations of blackjack, insurance is not available in the game of pontoon and the player must reach a total of 15 before they can stand. There are no side bets in this game and the house edge is fairly low, offering a theoretical RTP of 99.64%. With sharp and engaging graphic design, Cashino’s Pontoon features customisable tables, allowing players to personalise the game before the cards are dealt. Surrender blackjack is an easy-to-play variation of blackjack with a unique twist. In this variation, you can choose to “surrender” your cards to save some money and prevent larger losses. This exciting feature means that you can opt out if you believe your hand is too weak to compete with the dealer, getting back half of your initial bet and adding more flexibility to the game. The aim of the game is to beat the dealer with either a blackjack (ace + ten) or a hand as close to 21 as possible. In all other ways, this game follows Las Vegas Strip blackjack rules, played with 6 total decks and the option of using up to 5 hands at a time. Within these rules, players can double after splitting a hand. For new players or those wanting a less competitive game, a demo mode is available to play for registered users of Cashino, allowing you to get to know the rules before betting for real stakes. A full set of house rules is available for all player under the “Help” at the top of the screen. There are many variations of blackjack available at Cashino, including Playtech’s Multiplayer Blackjack. Unlike single-player blackjack, the experience of additional virtual players changes the game’s dynamic. You are given only 15 seconds to complete your turn in this game, adding urgency and excitement to the game. If you do not complete your turn, you will automatically stand. With up to 5 additional players at the table, the game takes on a more “live” feel without actually being live. Although this helps create an immersive environment, it sacrifices your ability to think thoroughly about your decisions with unlimited time. The rules of multiplayer blackjack are standard – you play with six card decks, with the dealer drawing to 16 and standing on 17. Players can double down on 2 cards after splitting a pair, and they can split any hand consisting of two equal value cards. With these simple and seasoned rules, Multiplayer Blackjack won’t scare away any novices and is a great way to get a real feel for the game, but it doesn’t offer as immersive an experience as a live game proper. Cashino utilises Playtech for its blackjack titles. As one of the biggest names in the online casino industry, Playtech offer state of the art games that come with over 15 years of development experience. Their released titles offer superb sound and crisp graphics to mimic the real world of table and slot machine gaming. The variety of blackjack games offered by Playtech at Cashino is especially attractive, allowing players to choose from a wide pool of options with different rules and unique twists. Some variations — like Blackjack Surrender and Blackjack Pro — do not allow players to double after a split, whilst others — like Pontoon and Perfect Blackjack do. What's more, players can choose a game here based on the number of decks utilised in the game. Although the standard is between 6 and 8, players can choose to play with as little as 1 deck in titles like Blackjack Pro. Blackjack is one of the highest RTP percentage games out there with a very low house advantage. That said, Cashino’s blackjack games offer a variety of different odds which are worth taking into account. All of Cashino’s blackjack games offer an RTP of above 99%, meaning that you might theoretically expect to win back over 99% of your bet in the long term (say over 10,000 games). The highest RTP percentage games offered by Cashino are Blackjack Surrender (99.65%), Pontoon (99.68%) and Blackjack Switch (99.86%). The lowest RTP percentage for blackjack games are Blackjack Pro (99.56%) and Perfect Blackjack (99.57%). As you can see, the RTP difference between each title is very marginal at 0.1 of a percentage, making blackjack a very favourable game in terms of odds. To make the most of these games, it is important to understand blackjack strategy and to gain experience through practice. Blackjack is a versatile game that suits many wallet requirements. Whether you’re looking to play with as little as £0.10 or as much as £2,000, each blackjack title comes with a number of different table limits. Players can choose their table limits at the beginning of most games, with as little as £0.10 - £200 and as large as £5 - £2,000. Although each variation has its own stake levels, these are available to see before playing so that you don’t end up on a table that is too low or too high in stakes. For high-rollers, Live Blackjack is the best option with higher table limits and an immersive live casino environment. With that said, you should only play with as much as you are willing to lose. Cashino's withdrawal and deposit options are a bit more limited than many major casinos, but it does offer many of the most standard options. These include card transfers (Visa, MasterCard and Maestro) and a number of e-wallet payments (Neteller Skrill). In terms of withdrawal times, you can expect your money anywhere within 2 to 5 days when using a standard credit or debit withdrawal method. E-wallet withdrawals are much quicker, often being completed within 24 hours. For users utilising bank transfers, the payout time is between 3 to 7 days. No cheque withdrawals are offered by Cashino. Cashino offer a wide number of channels to put you into contact with a member of the help team. 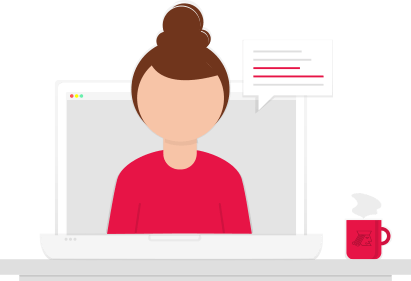 The most commonly utilised method is Live Chat, available Monday – Friday between 1 pm and 10 pm by simply clicking the chat window in the bottom right-hand corner of the page. Alternatively, a support team is accessible via email, telephone contact and social media (Twitter and Facebook). Although Cashino offers a very comprehensive FAQ page with answers to many of the most common player queries, immediate help is not always so easy to find on weekends or during out of hours times. Cashino is fully regulated by the UK Gambling Commission and its owner, Merkur, is licenced in Malta. This means that Cashino offers a trusted and safe gaming environment overseen by some of the most respected regulators in the industry. What's more, Cashino employs serious protection in the form of 128-bit SSL encryption to ensure that private and personal data is kept safe and secure at all times. With additional firewall protection, Cashino's security is second to none. All new players must be verified upon registration and upon withdrawing their first payment, protecting against fraud, money laundering and identity theft. In terms of fairness, Cashino utilises industry standard auditing to ensure that pay-outs are transparent and that game RNG results are truly random every time. For those seeking a more engaging live environment, Cashino offers a live casino lobby with a number of games to choose from, including blackjack. With Cashino Live Blackjack, players have access to a professional live dealer with a live-streamed table consisting of real cards, real actions and real dialogue. This offers players a live casino feeling from the comfort of their own homes, complete with immersive and social chat windows and enthralling time limits. With sleek graphics presenting your cards on the screen, Live Blackjack offers the best of best worlds for a truly exciting game of blackjack. How many blackjack variants can you play at Cashino? There are many varieties of blackjack on offer at Cashino, with 24 simulated games and 1 live blackjack option. These titles run the gamut from single-hand to multi-hand games, single deck to 8 card deck games, and single-player to multi-player games. What’s more, there are unique feature options like Surrender, Cashback, Switch and Peek. Can you win at blackjack at Cashino? You most certainly can win at blackjack at Cashino because all games are audited and ensured to be fair. To be in for the best chance of winning, it is important to get to know the rules of the game. This ensures that you do not make any silly mistakes in the game. Is Cashino a safe and trustworthy place to play Blackjack? Cashino is one of the most trustworthy casinos in the business because it is regulated by two of the world’s leading gambling authorities in both the UK and Malta. This ensures that your experience is fair and your data is held safe at all times. Does Cashino offer any blackjack training for players? While there is no official training, Cashino offers a number of blackjack guides. All virtual versions of the game come with both a help guide and a demo mode. This demo mode allows you to get a feel for the game without having to play for money. What is the best way to contact Cashino? Cashino’s most convenient means of contact is their handy Live Chat window or telephone support team, available for all players between 1 and 10 pm every Monday to Friday. If you need help outside of these times, it is best to check the FAQ or contact support via e-mail. Do I have to download sоftware to play at Cashino? There is absolutely no need to download any software, add-ons or plug-ins to play blackjack at Cashino. Blackjack is designed to be played easily through an internet browser for your convenience. However, mobile users can choose to download a dedicated mobile app for on-the-go play.